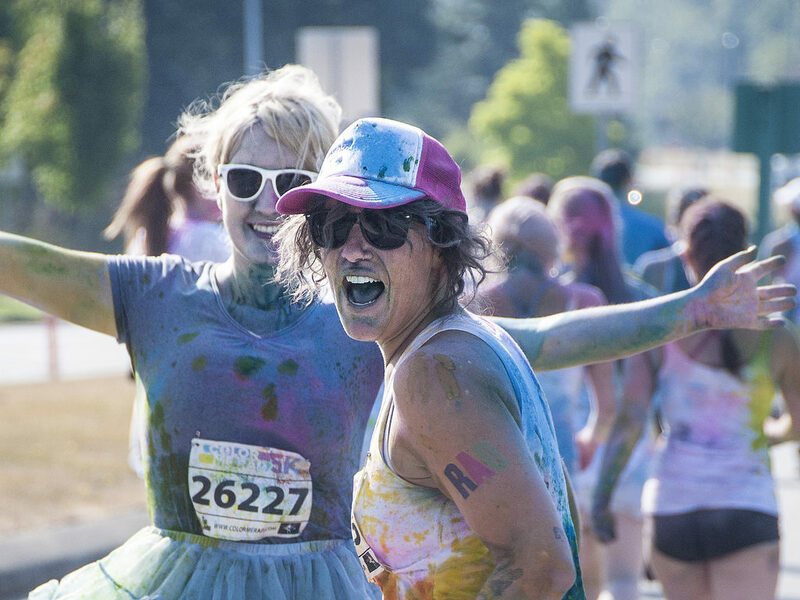 2012 Vancouver Color Me Rad 5K took place this year at UBC Thunderbird Stadium on August 18th and benefited Keep-a-Breast Canada. 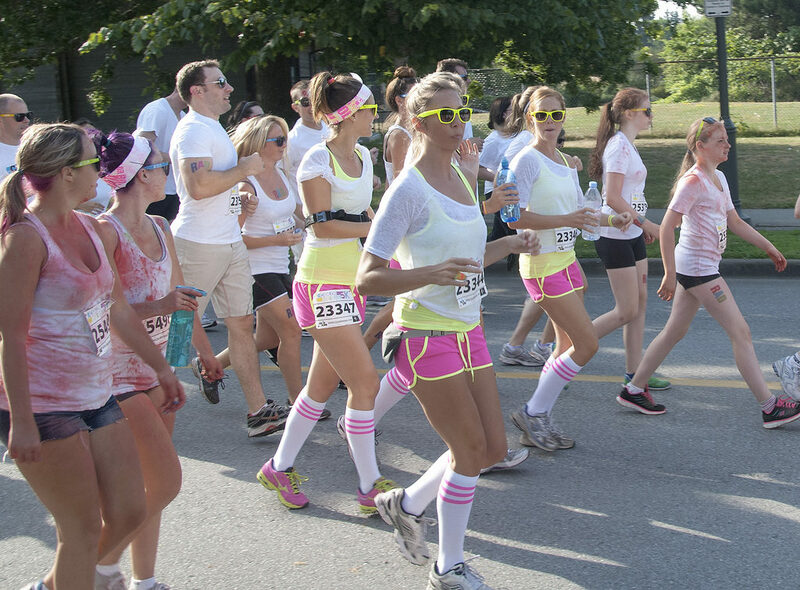 Keep A Breast Canada was founded in Vancouver in 2009 with the support of The Keep A Breast Foundation, the US non-profit state-approved foundation. 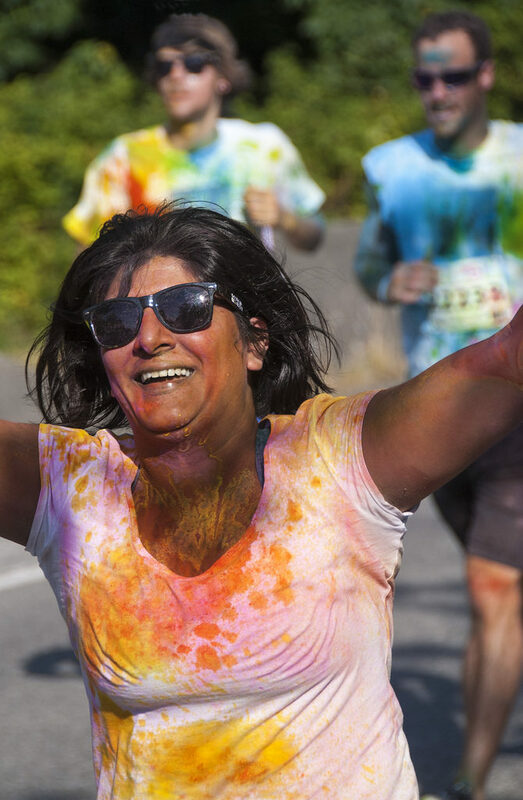 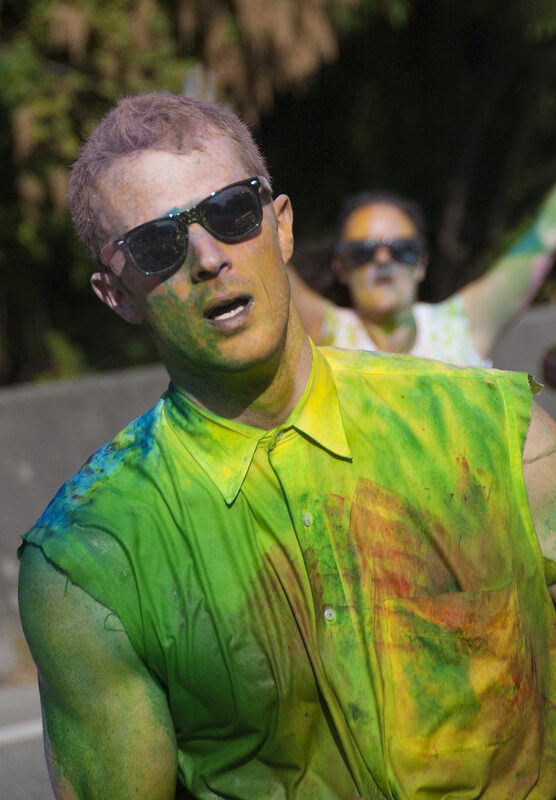 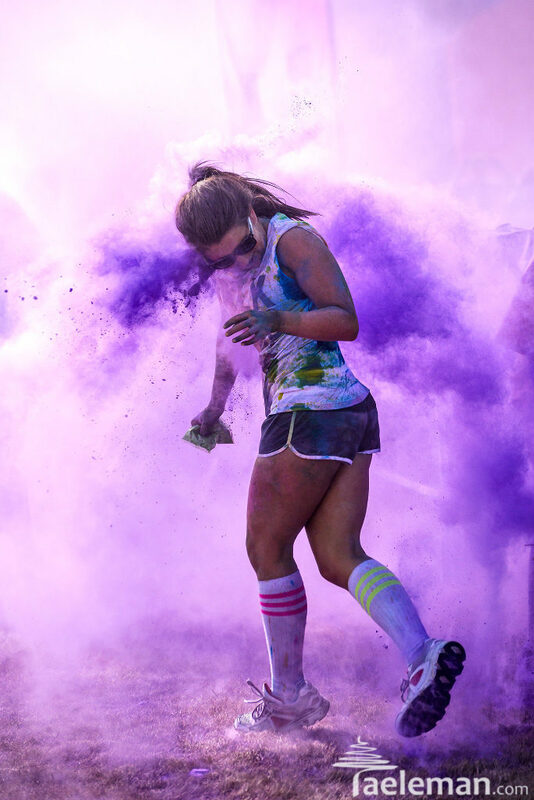 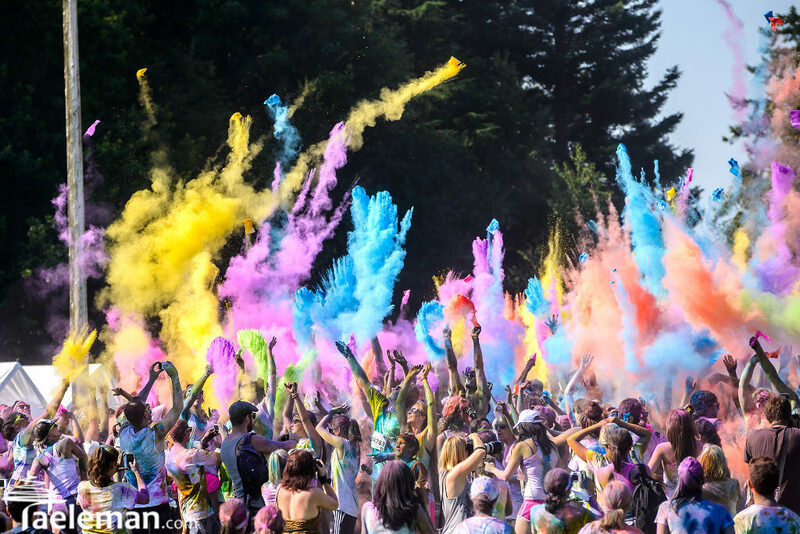 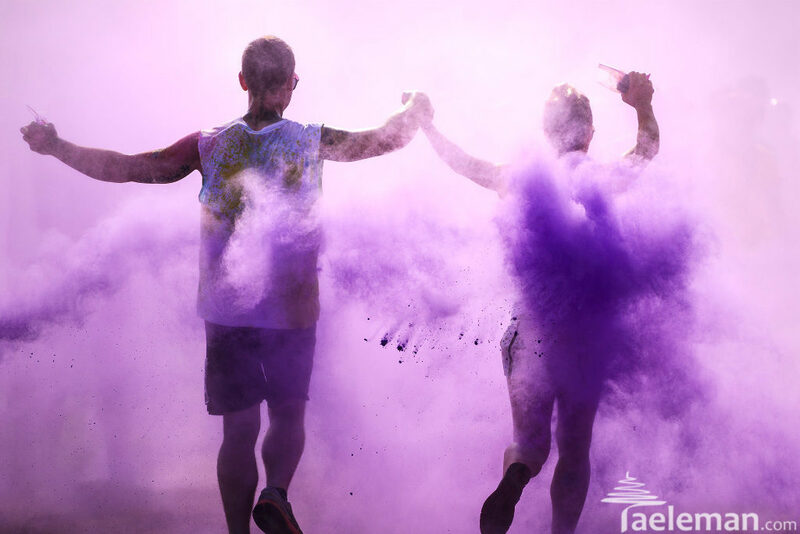 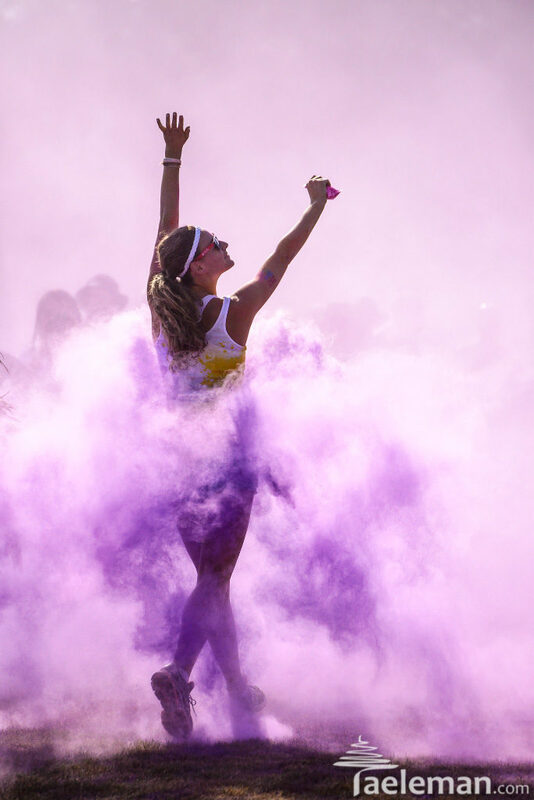 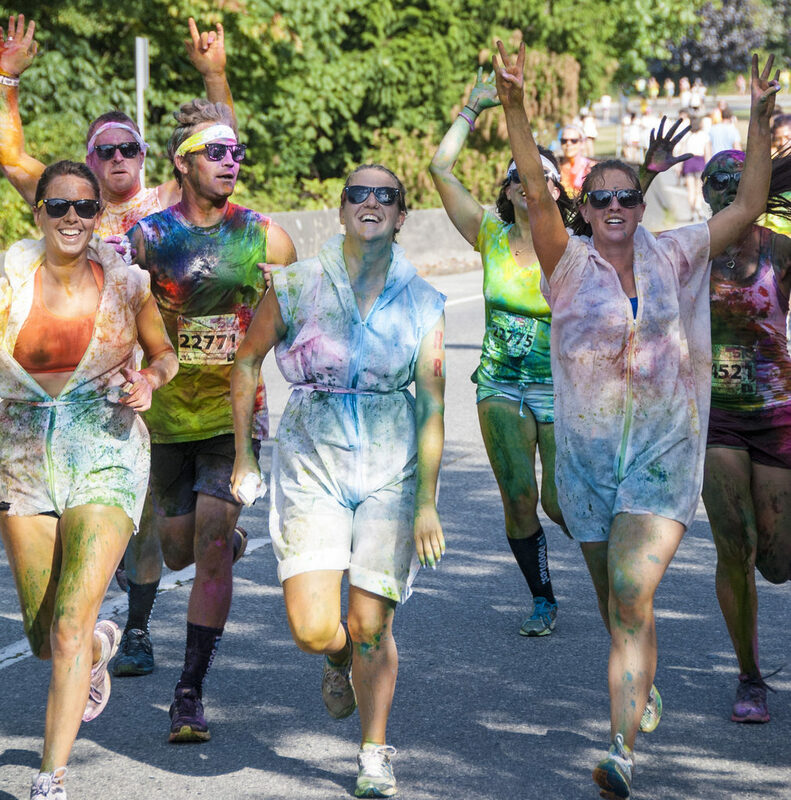 By launching huge amounts of colored cornstarch, Color Me Rad staged a 5K race that transformed it’s participants into rainbows in human form. 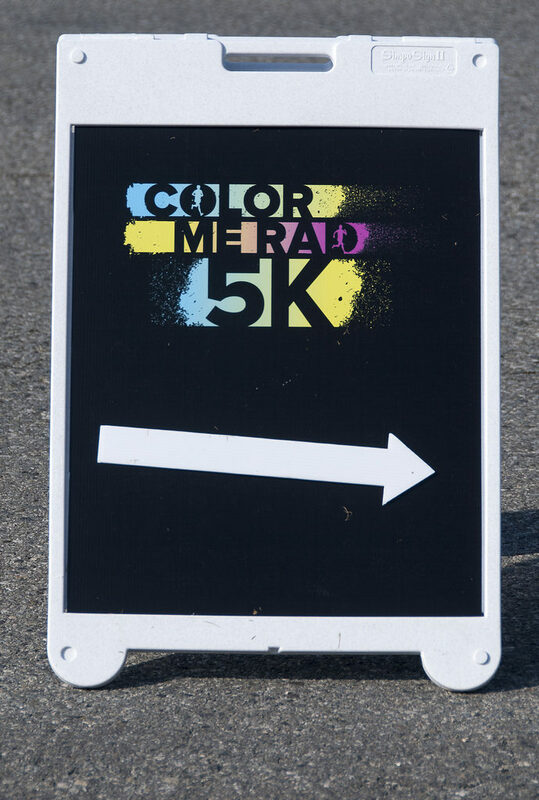 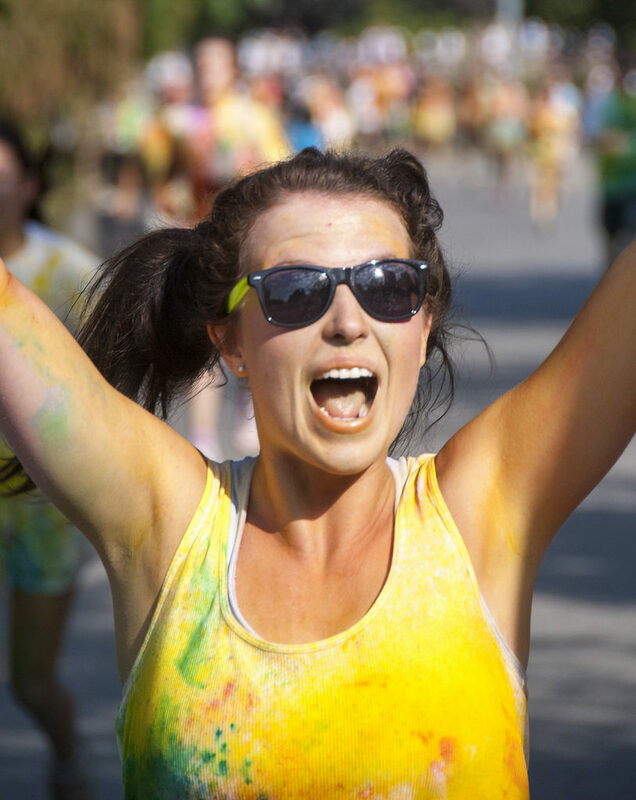 Runners were encouraged to wear plain white t-shirts while colors such as neon-blue, green, purple, and yellow covered them throughout the race. 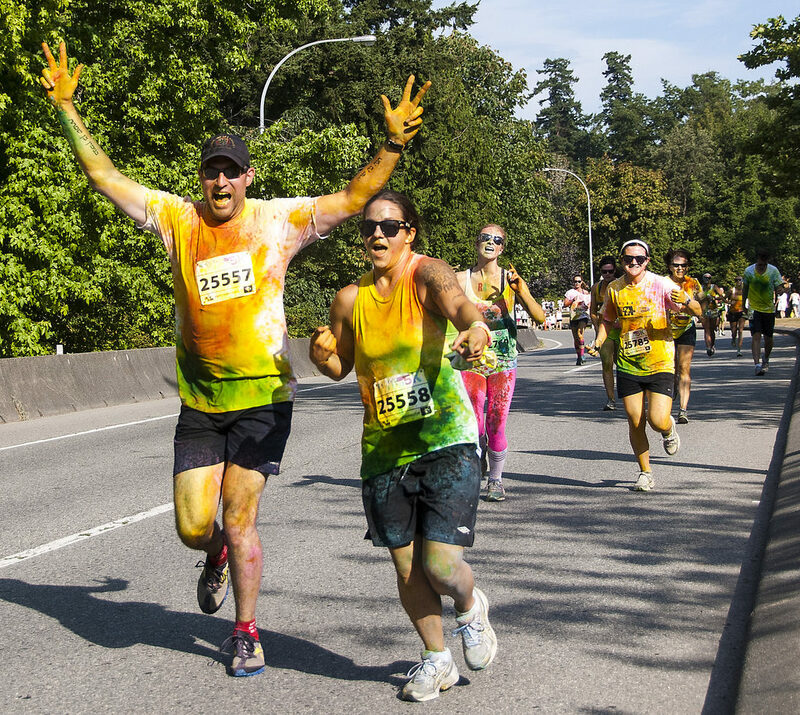 The race concluded with an entertaining finish-line finale as sprinters chucked colors at each other in celebration. 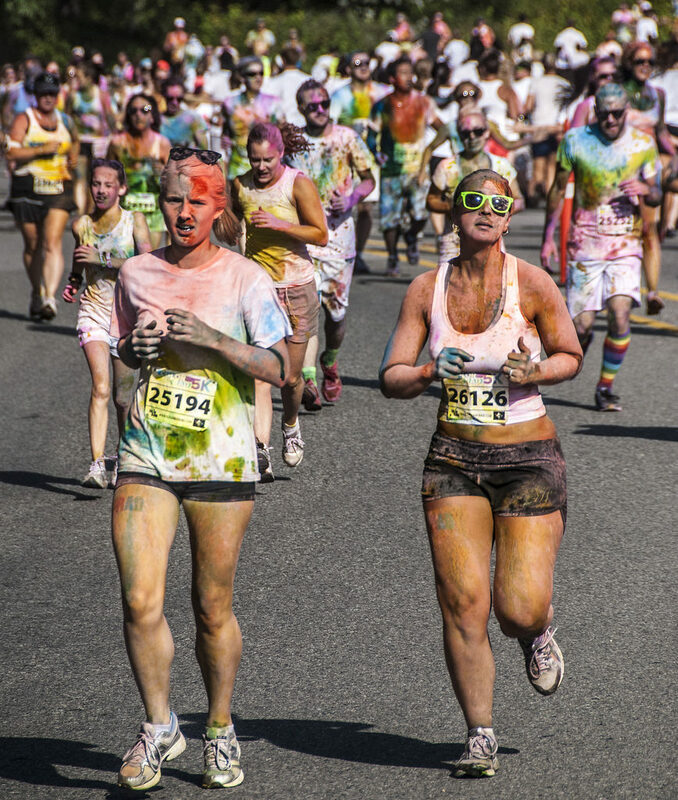 The race’s noncompetitive idea shifts the prominence of speed to fun and silliness all in efforts for charity. 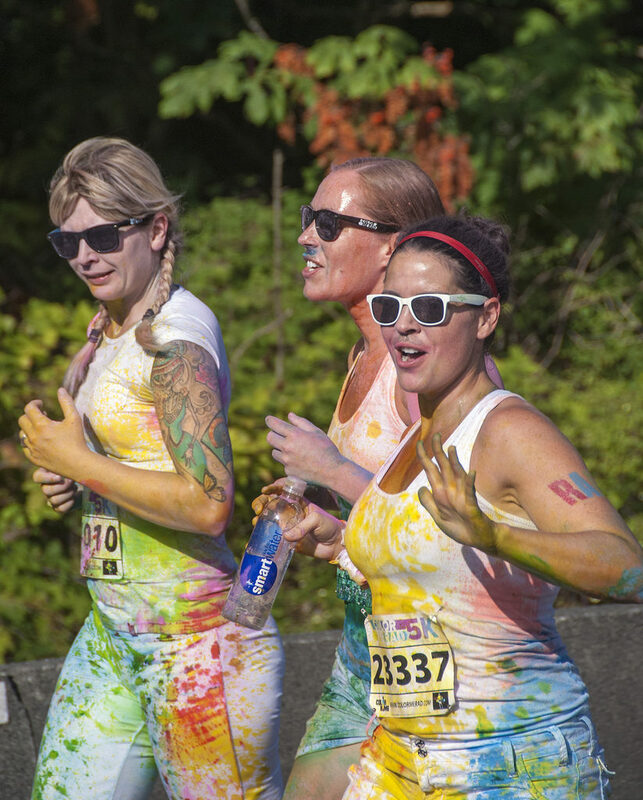 The coloring race began with runners getting covered with paint every 5 minutes. 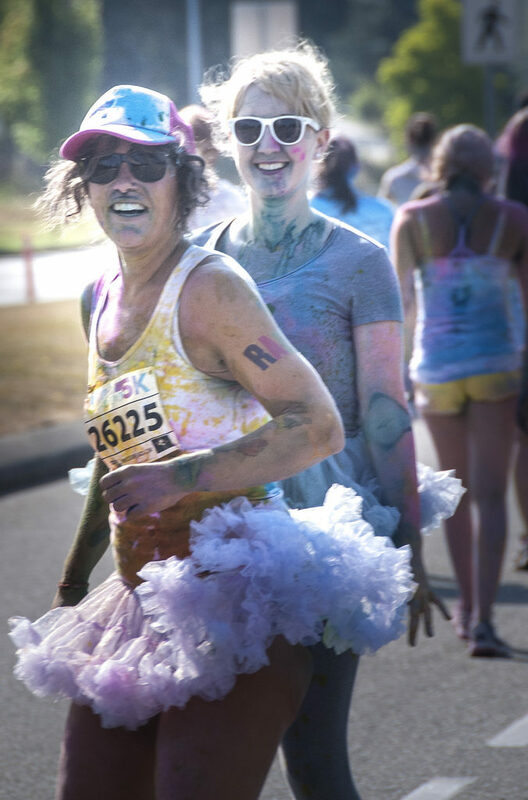 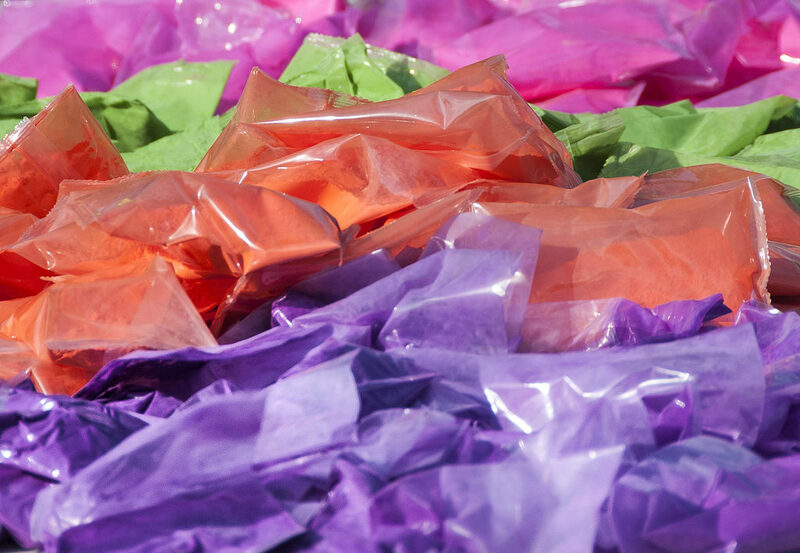 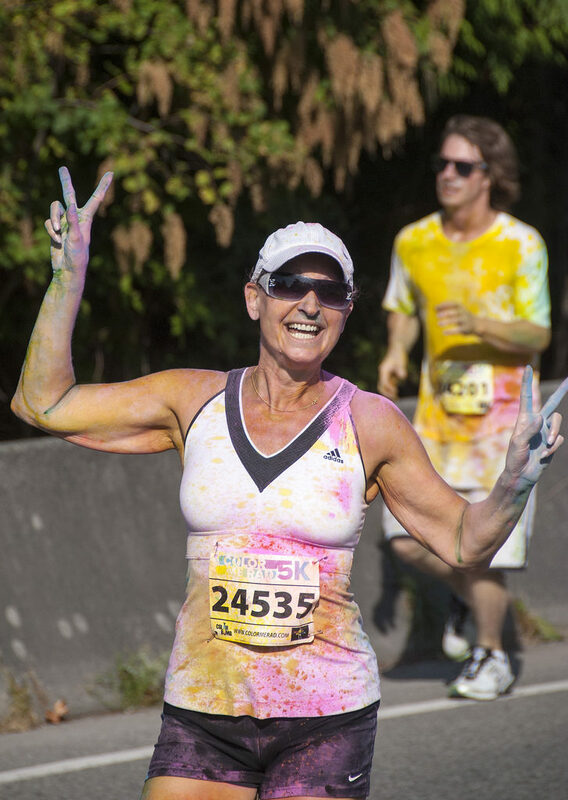 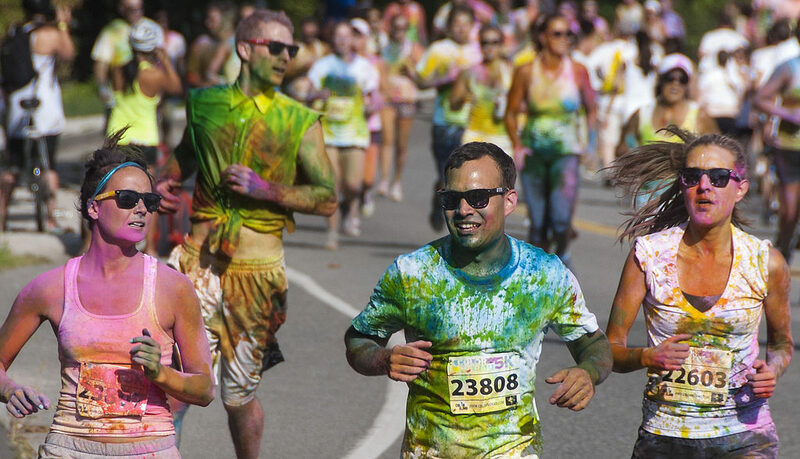 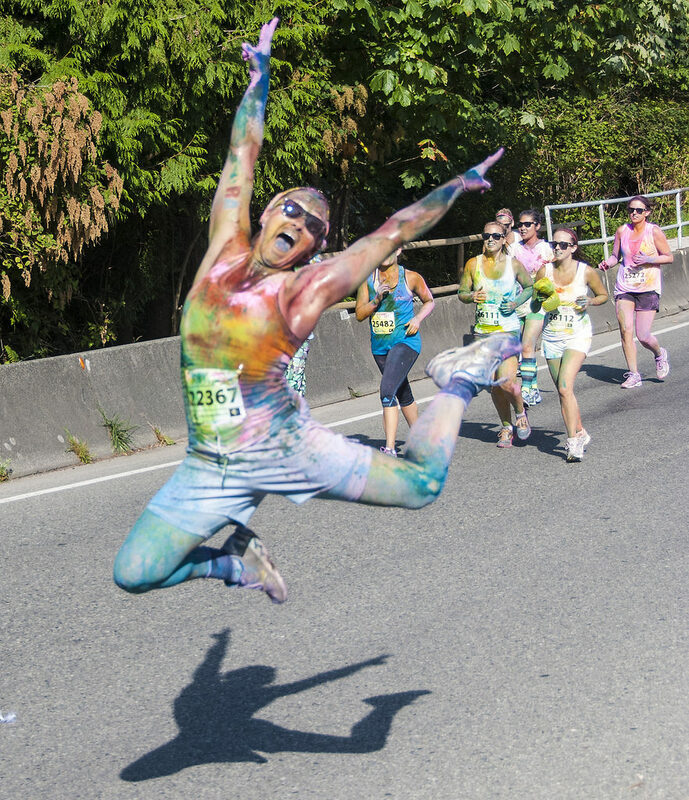 Each section of the run added a new explosion of color to the runners until they crossed the finish line.